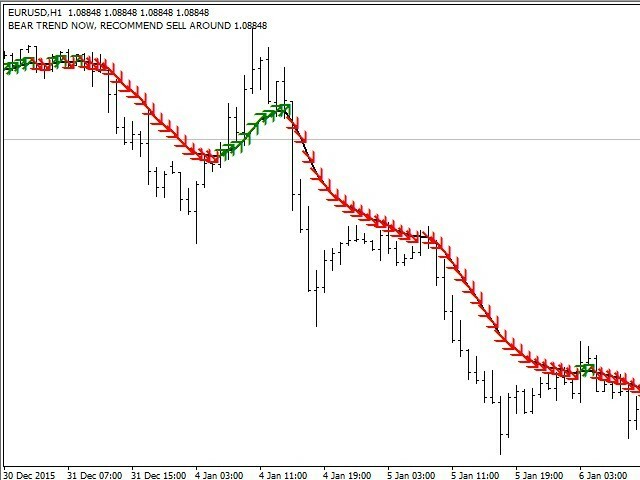 This indicator is very simple and will tell you when a new trend begins and the old one ends. 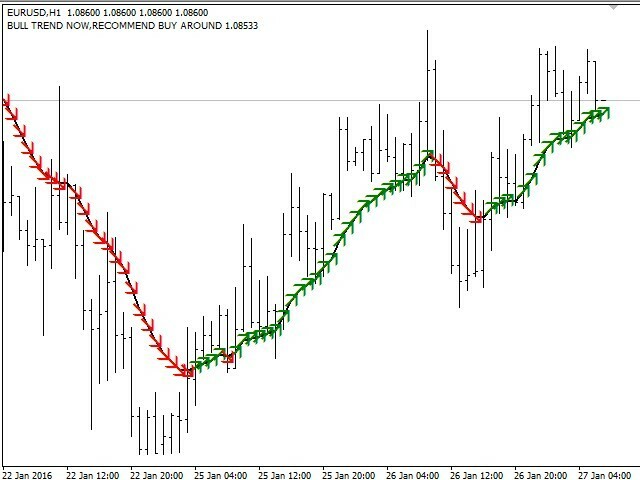 Simply place the indicator on the chart and wait for the pointer to change its color. If it is changed from red to green - an uptrend started. If it is changed from green to red - a downtrend started. 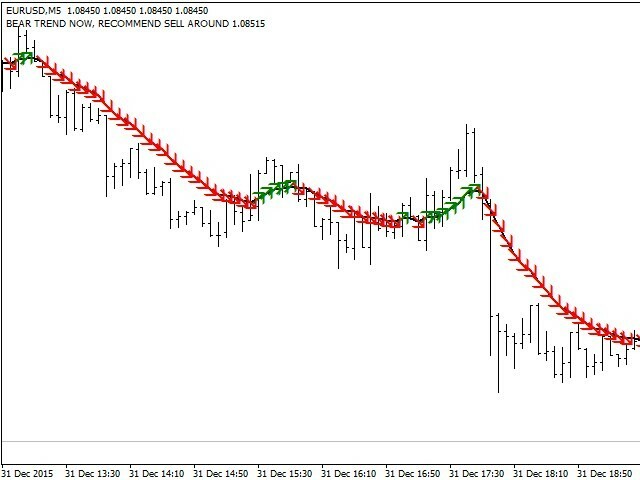 Important note: try to open the trade as quickly as possible after the arrow changes color. 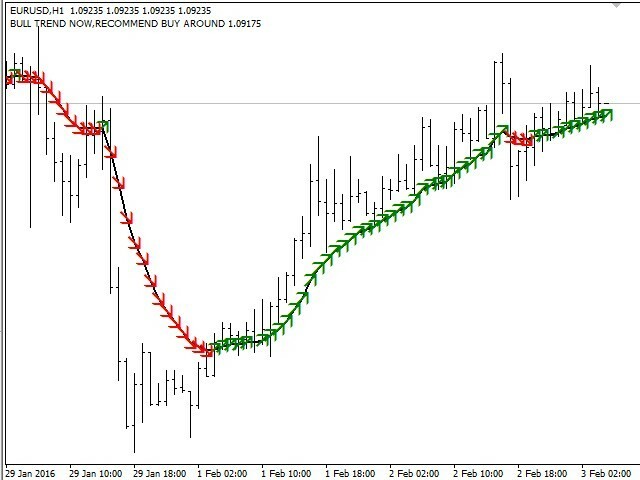 After that everything is up to you, whether you choose a fixed stop loss or exit the trade when the indicator color changes.